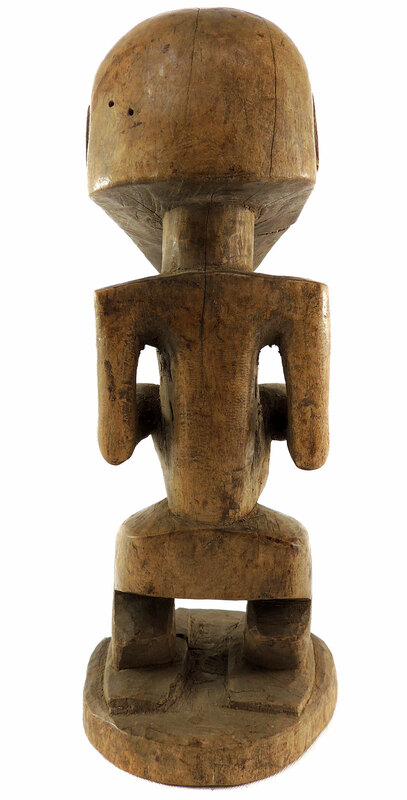 Additional Information: This well-carved miniature Songye power figure has hands on a prominent belly. The statue likely once had a horn mounted in the hole in the head, now only a divit remains. Standing on a wooden base for immediate display. The Songye live on the left bank of the Lualaba River, an area of savanna crossed by numerous major river systems. They have a long history of migration and cultural interchange especially with the Luba from whom they are said to have originated. 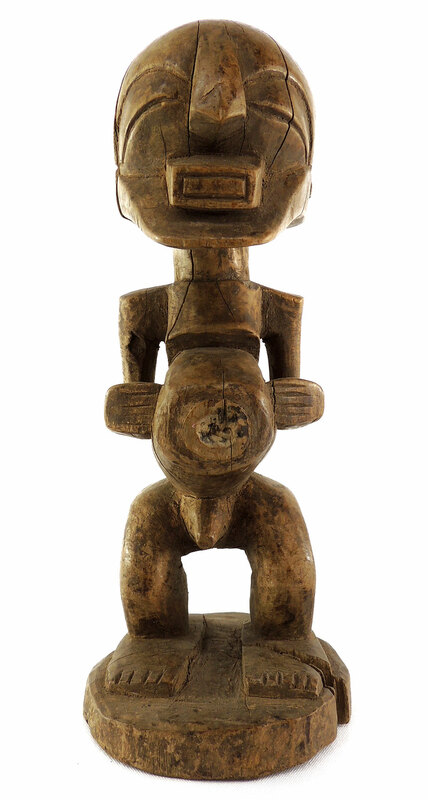 Magical beliefs and practice are widespread among the Songye people who use figures such as this on family or village altars where they contact the spirits of ancestors, nature spirits and where offerings and prayers are given.Among the Songye power figures known by them as buanga, and commonly called fetish figures, often have different materials attached to them including animal skins, nails, strips of metal, magical substances or whatever the owner specialist considers important to give the figure power to act. 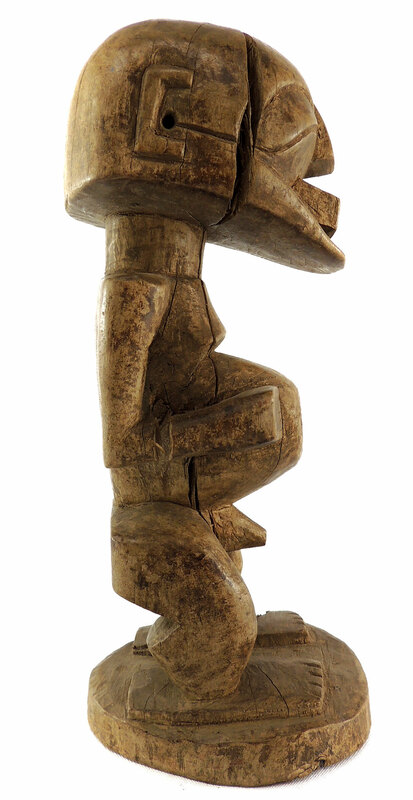 Among the Songye magical substances that load a figure with power are called bishimba. 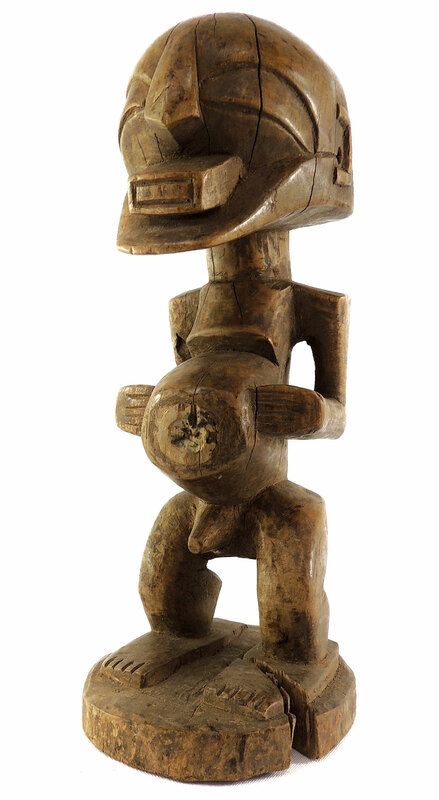 The specialist who uses the figure is known as an nganga, literally a specialist (doctor) who can cure, divine or direct magical power against others.